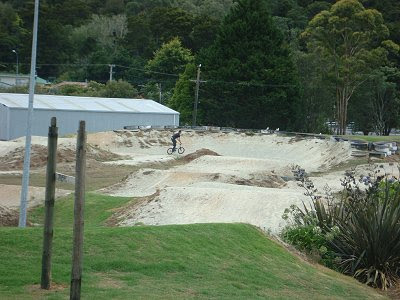 Apparently their little trip together to the local BMX track was to help Master 10 gain confidence on his new bike. Apparently someone just couldn't resist hogging the bike once again. Look what I found on the camera when they returned... hmmmmm. 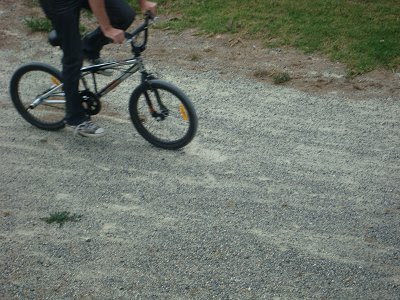 Its great your hubby is into taking the kids BMXing, its very special to have a dad who does stuff like that. I've always said it, the daddies are the biggest kids of all. Keeps life fun, aye?? Haha boys never grow up huh? Thanks for being my first follower... I've got a lady in the states designing me a new blog, so it should look pretty soon. Our men never grow up do they? Mine is 57 and still a boy at heart! Cool!!!! where do you live??? wow, that looks like fun, my kids would be so into that. So busted! Ive said it once, I will say it again. What a great father! That's funny!!! I could see my husband doing the same thing! The dads get to re-live their childhoods all over again!! Lol!! This IS so something my husband would do! 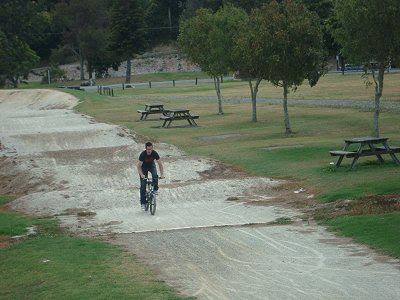 He and our oldest (4 yrs old) go four wheeling all the time and he can't wait to start taking him BMXing! Gotta love our biggest kids! !